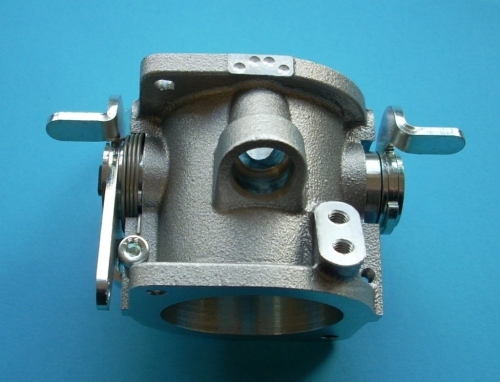 ST Individual fuel injection throttle body with 1 injector position. 2 bolt flange. Standard sizes are: ST35mm ST40mm ST42mm Complete with right hand linkage (when ordering 1 body) or standard interconnecting links when ordering a number of bodies. Made to order - 2 week delivery.